Embedded in our renowned hardware design is the Microsoft Lync 2010 Phone Edition, offering seamless integration to Microsoft's Lync Server 2010. This combination provides for the fullest Lync feature set available, including simplified installation, management and configuration. 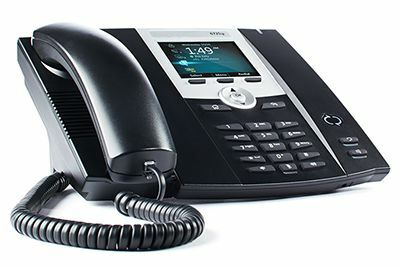 The MiVoice 6725 Lync Phone is designed for everyday desktop use and includes dual Gigabit Ethernet ports and message waiting light indicators. The MiVoice 6725 Lync Phone is a true IP Phone that can operate as a standalone Microsoft Lync endpoint. When connected to a Microsoft Lync 2010 equipped desktop, it provides a synchronized integration with the desktop client, to enable enhanced functionality, such as click-to-dial and desktop control of calling features such as transfer, hold, call park, and conferencing. The MiVoice 6725 Lync Phone features both a full colour 3.5" LCD screen and a separate Unified Communications (UC) presence icon providing direct access to features and presence indicators in Lync. Exceptional voice quality is provided through the use of Microsoft audio codecs in both the handset and hands-free modes.